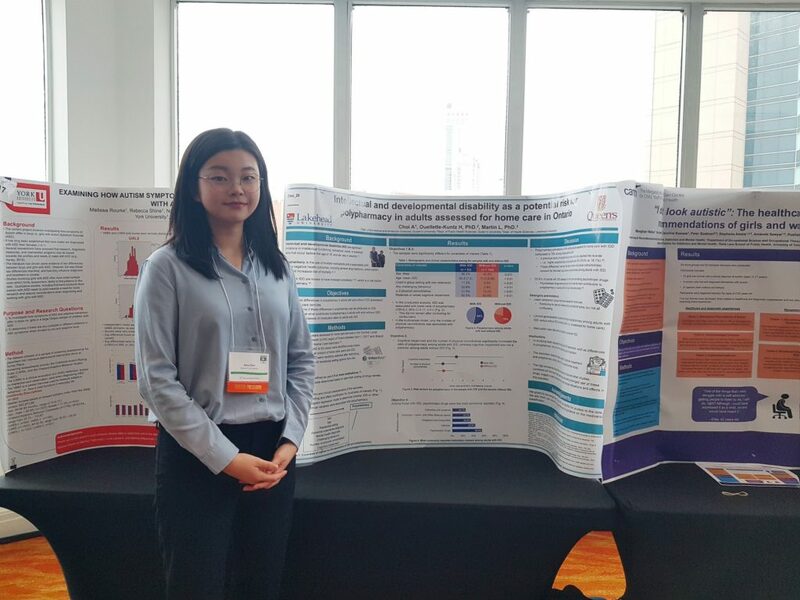 Congratulations to MAPS trainee Amy Choi for presenting her undergraduate thesis at the 2019 OADD RSIG Day in Niagara Falls! Her thesis investigated the relationship between polypharmacy, or taking more than 5 medications, and IDD status in older adults assessed for home care. MAPS researchers received funding through the Canadian Frailty Network’s 2018 Catalyst Grant Competition to promote intersectoral collaboration to support frail older adults with IDD in the community. Building on a successful program of research on frailty, Drs. Lynn Martin and Hélène Ouellette-Kuntz will work with frail adults with IDD, family members, and providers in the developmental services and home care sectors to identify key elements for effective collaboration and partnership. Through an in-depth case study involving interviews and document review, successful strategies for intersectoral action to support frail adults with IDD in the community will be identified, and related “Call to Action” resources will be produced.